The Redcat Racing Everest GEN7 has arrived and I’ve got one sitting in my R/C garage. 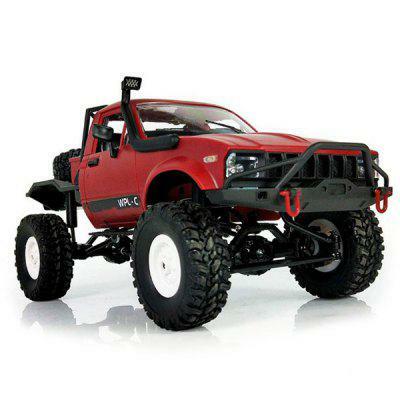 Will this vehicle become a gateway rig for introducing people to the hobby and to the R/C scaler scene? Only time will tell. For now, I know that this is a fun machine to drive, while not obliterating my budget. In this episode of the RC Newb Podcast, I share my initial thoughts on this 1/10-scale trail machine along with reviewing some recent news and announcements from around the hobby. In a zombie outbreak, our survival depends on you! Fight to stay alive with the Carisma Scale Adventure Lynx ORV. Traxxas released their second TRX-4-based model, the Tactical Unit R/C crawler. If you’re looking for a new R/C-focused podcast to subscribe to, give a listen to the AceOfAxe RC Podcast. Fellow hobbyist J. Scott Curlin shares his involvement in the hobby, from racing to scale competition, and everything in-between. Hands-on with the Redcat Racing Everest GEN7 Sport.